On March 21, 2019, a crew member of the "Delphin" was medevaced by the DGzRS lifeboat "Hertha Jeep" from Stralsund. 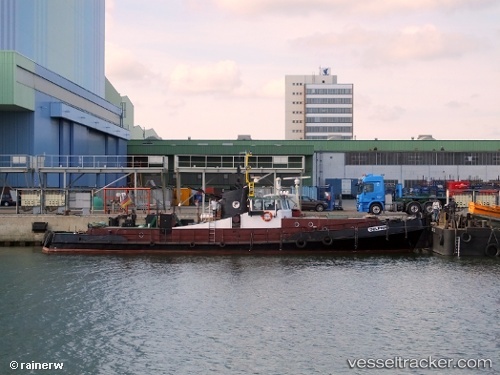 The captain of the tug had reported that the man was severely injured during a towing operation on the Gellen Stream off Barhöft and was in urgent need of medical assistance. The lifeboa, the police boat "Werder" and a rescue helicopter of Northern Helicopter were alerted. In the meantime the captain got advice by the MRCC in Bremen. A police officer boarded the "Delphin", the helicopter dropped off medicals. After the patient was stabilized, he was transferred onto the "Hertha Jeep" where he was treated further while the boat speeded to the Naval Base Parow where an ambulance transported the man to hospital. After it was ensured that the remaining tug crew was able to berth in Stralsund safely, the rescue units were stood down.